BikeMO, an annual fundraising ride for the Missouri Bicycle and Pedestrian Federation and the Missouri Bicycle Foundation, will be celebrating its 10th year on August 23rd. Proceeds from the event are used to support the Federation’s mission to promote bicycling and advocate for better bicycling conditions in Missouri. The ride, which was held in the Jefferson City area for the first 7 editions, now starts just outside of Columbia, in Rocheport, Missouri. The current Ride Director, Matt Maher, moved the ride in an effort to increase participation from around the state and provide participants with more options. BikeMO riders rest at the historic Katy Depot in Boonville. BikeMO also offers a one of a kind after-party. 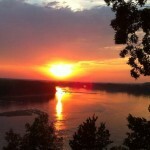 Held at Les Bourgeois Winery,riders are treated to spectacular views of the Missouri River Valley from atop the bluff several hundred feet above the Missouri River. Participants enjoy live music, drink discounts, and reserved seating as they relax after a hard day on the bike. 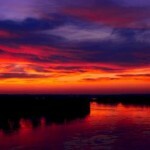 Sunset offers a special treat as the sky is painted with a beautiful palette of pinks, oranges, yellows, and reds. There are very few after-parties that can boast a view like this. 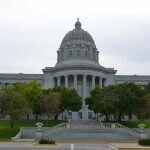 We sat down with Brent Hugh, Executive Director of The Missouri Bicycle and Pedestrian Federation, to learn a little more about the ride and to find out what makes BikeMO such an important event for MOBikeFed. 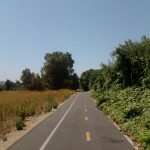 This is the 10th edition of the ride, how did BikeMO get its start? It was back in 2004, soon after I become involved in the bicycle federation. We had done some training with national organizations, and they said the successful statewide organizations raised a significant part of their annual budget through events. So we did some brainstorming about what an annual ride in support of statewide bicycle advocacy would look like, and BikeMO was the result. The idea was to do the event in the center of the state, so people come come from all parts of the state and could meet friends from all over the state for at least one great ride together each year. How has the ride changed over the past decade? The ride has grown gradually over the years. Probably the biggest and best addition to the ride is when we moved to Rocheport, starting and ending the ride at Les Bourgeois Winery. 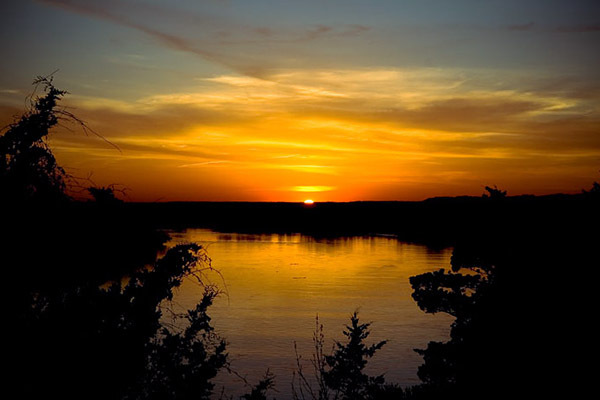 It is a beautiful area, the Winery is very supportive and welcoming, and it makes for a great ride after-party at the Winery on the bluffs of the Missouri River. 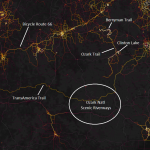 The move to Rocheport also opened up the possibility of a trail option on the Katy Trail. 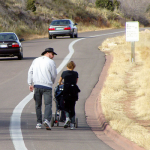 The Trail option has become far more popular with trail lovers and families over the past couple of years. Why is it important to support rides like this? BikeMO is a great opportunity to get together with like-minded cyclists from all over Missouri–those who work together to support better, safer bicycling and trails. But i’s a great opportunity to do that when we can just have some FUN and enjoy the ride! We don’t have to meet anyone, we don’t have to talk with anyone, we don’t have to advocate with anyone. For once, we can just get together and enjoy what we advocate for! Have the local communities and businesses embraced the ride and how have they helped the event? The local communities and businesses have been the key to BikeMO’s success. 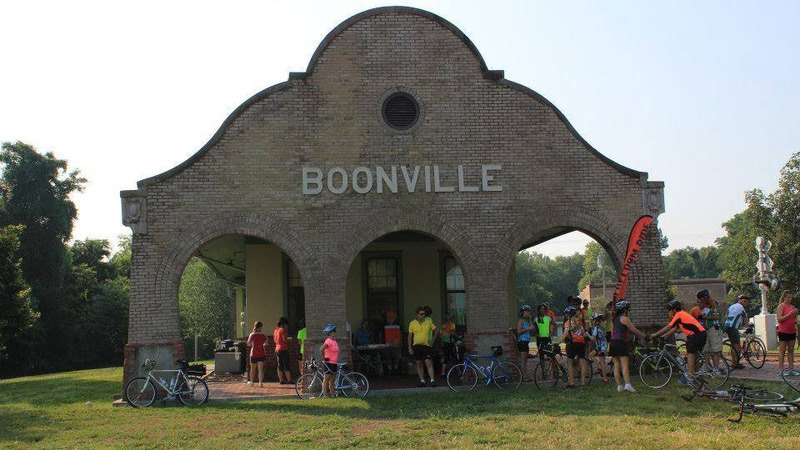 Historic and tourism-oriented communities along the BikeMO route like Arrow Rock, Blackwater, Boonville, and Rocheport have embraced the ride and love to have visitors. The difference is like night and day between these communities that actively welcome the ride and riders, and some areas where we have held events, where the community just tolerated the ride at best. Communities like Arrow Rock, with an entire section of the city dating back more than a hundred years and in excellent historic preservation, and Blackwater with the Bucksnort Trading Company and Saloon (and don’t forget Imogene, the Pie Lady of Blackwater! ), are places you might want to come back and spend a weekend visiting. 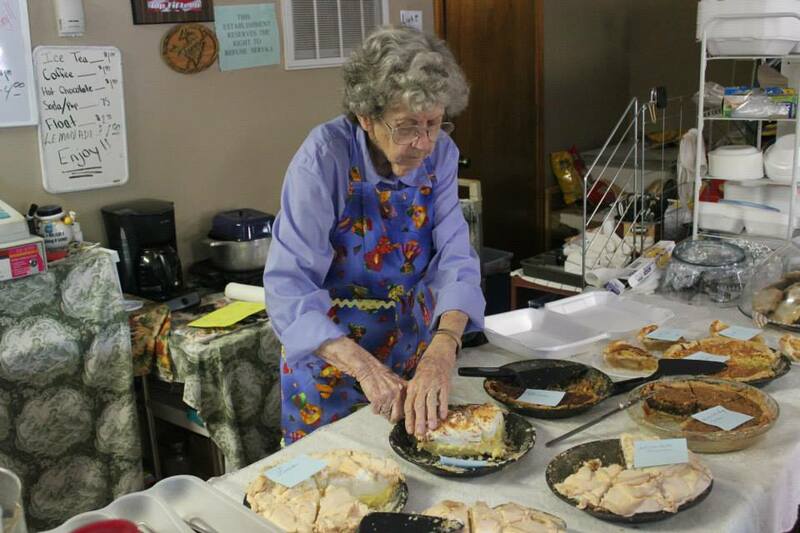 Imogene the Pie Lady served up delicious pies on ride day. Make sure to bring a little cash and stop by her place when you ride through Blackwater. BikeMO has continually increased rider participation over the past 3 years. Thanks to great SAG support, a great route, and support from the local communities, the ride will continue to grow and is poised to become one of the premier events in the Midwest. If you are interested in participating in this year’s event you can check out the BikeMO website for more information.